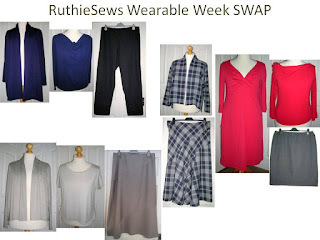 The rules for SWAP (Sewing With A Plan) are up on Stitchers Guild. 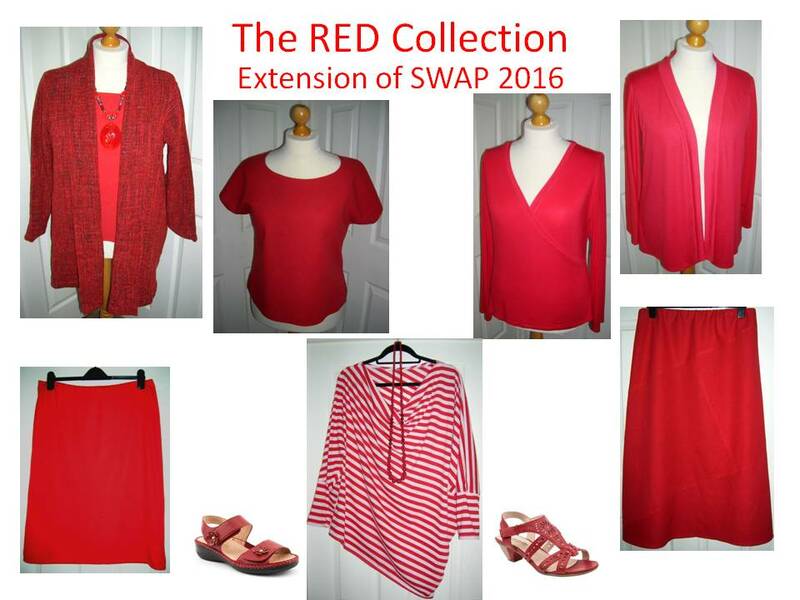 They have been devised by an anonymous SWAP Coordinator and are different to previous years. No purchase necessary anywhere; this contest is open to anyone with a needle and thread, regardless of budget or availability of items. Just jump in and join the fun. 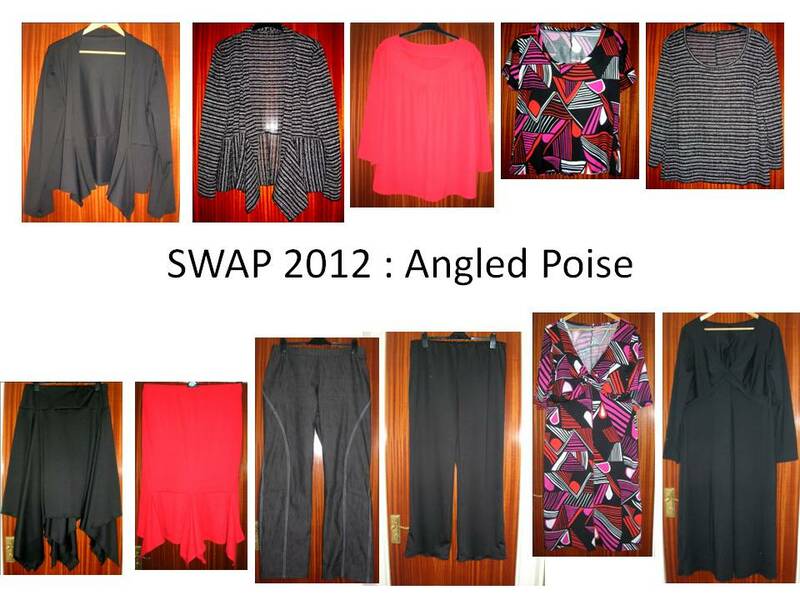 When SWAP first started the emphasis was on building a wardrobe of coordinates using a strict formula of six tops, four bottoms and one jacket, with all pieces working together. Over time other combinations have been used in the rules. 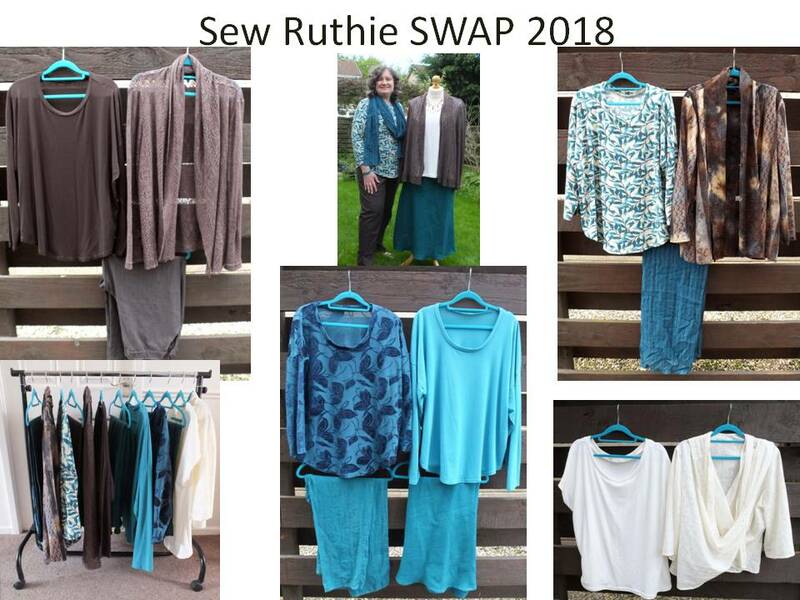 As we are primarily a sewing board, in recent years the emphasis has been shifted to the sewing aspect, with less emphasis on wardrobe or coordination of garments within the SWAP. 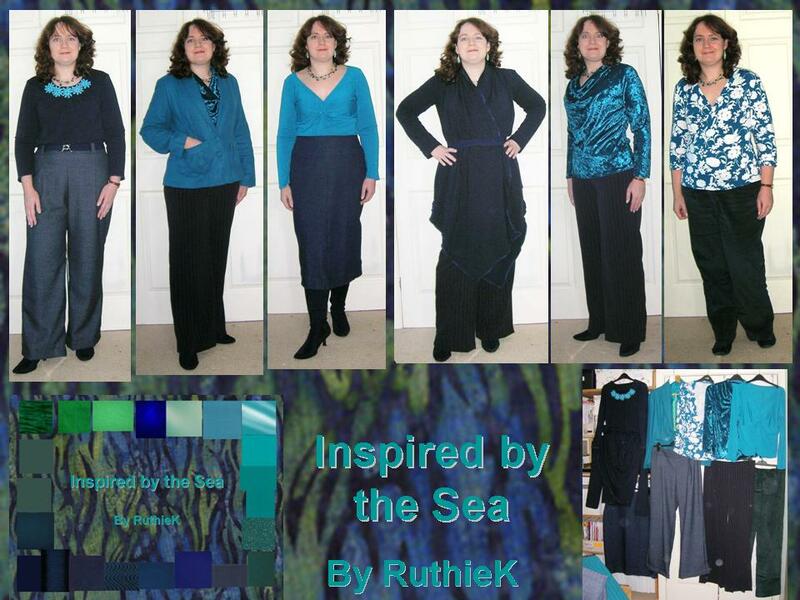 A blend of sewing and wardrobe planning enhances garment sewing. The point of sewing clothes is to gain freedom from the limitations of ready to wear in terms of color, style and personal fit. Having garments in styles, colors and shapes that flatter, that fit well is the best solution to the old lament, “I have nothing to wear!”. 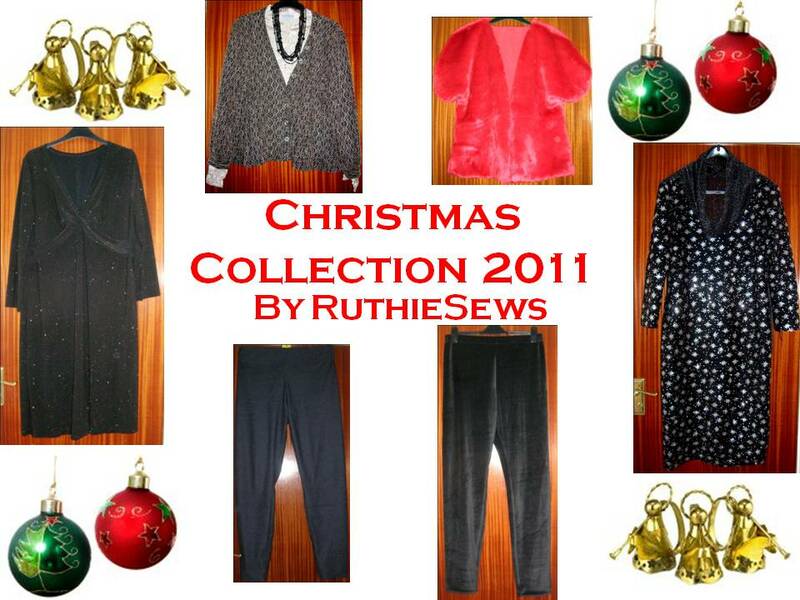 Having your garments coordinate maximizes your investment of time and money in producing them. I’ve read the discussion and tried to reflect your desires in the plan. The basis is taken from the original SWAP plan, but more functional. If you shift one top over to be a second layer you expand the versatility of the group. 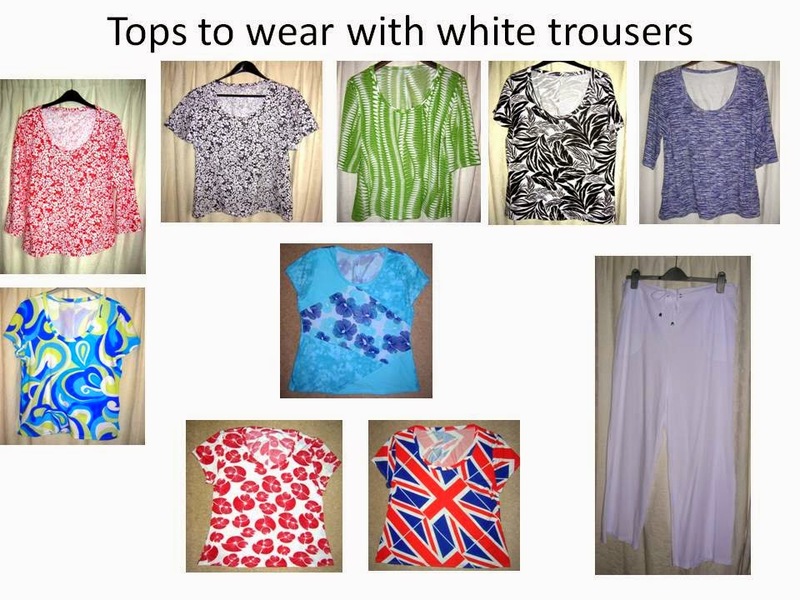 Now you have 5 tops x 4 bottoms, 20 outfits. Add layer one and it goes to 40. Use layer two and you have 60 options. 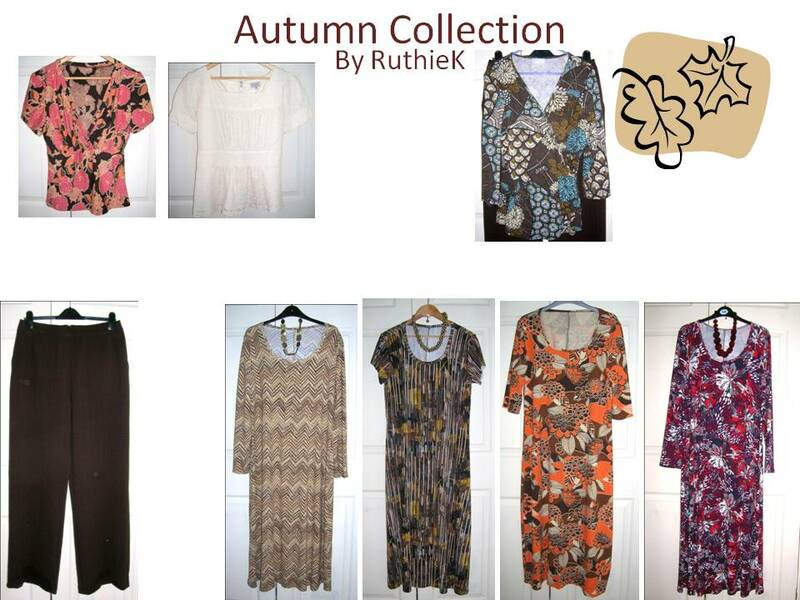 If by some chance you can wear layer one and two together you have a potential of 80 outfits from the 11 garments. I've expanded on this. Eleven garments divided between Upper, Lower and Over pieces. 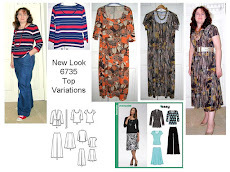 These are tops and dresses; bottoms; and layers, all defined later. There are minimums and maximums in each category, to provide balance and variety. You decide the final distribution. Upper: Minimum 3, maximum 5. Lower: Minimum 3, maximum 5. Over: Minimum 2, maximum 5. No more than ½ may be outerwear. 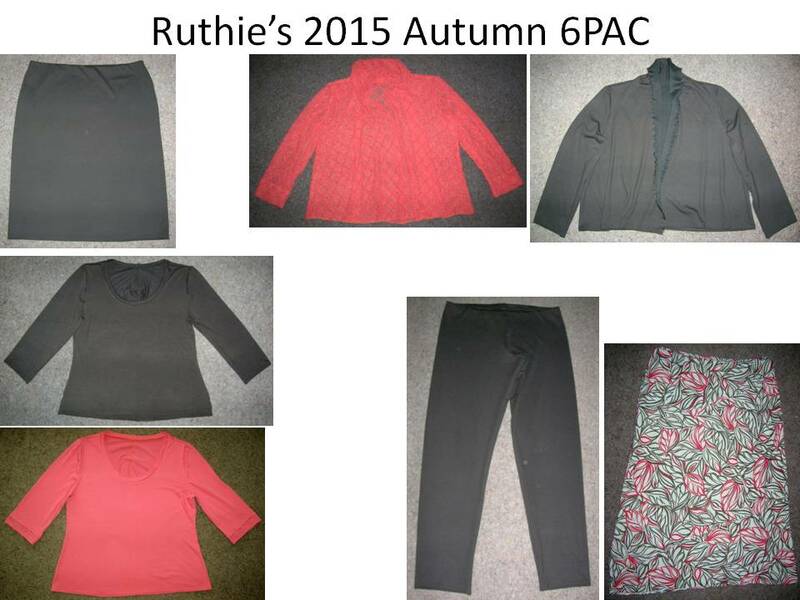 You decide how many of each, within the numbers above, to total 11 garments. 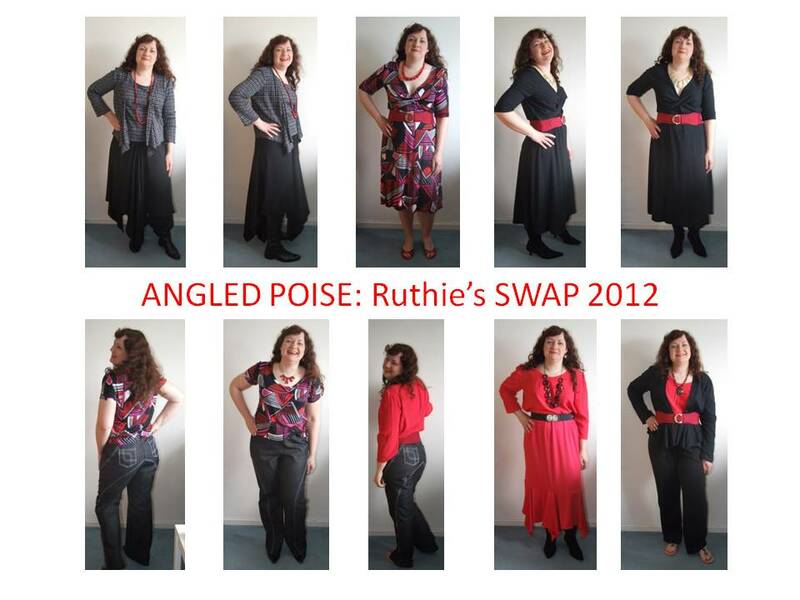 Your twist: Each garment in a category must work with at least half of the garments in each of the other two categories. Example 5 Upper, 3 Lower, and 3 Over. Each upper would need to work with 2 Lower and 2 Over garments. 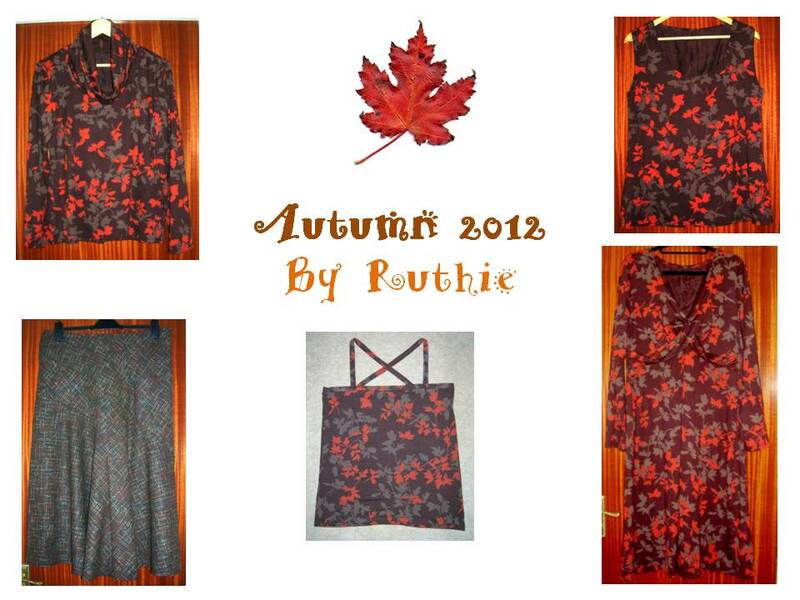 ROGUE garments. 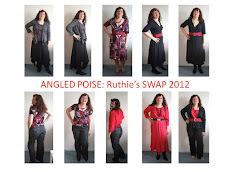 Two dresses may be “rogue” in that they won’t need to work with Lower garments. They still need to work with Over pieces per the rules above. 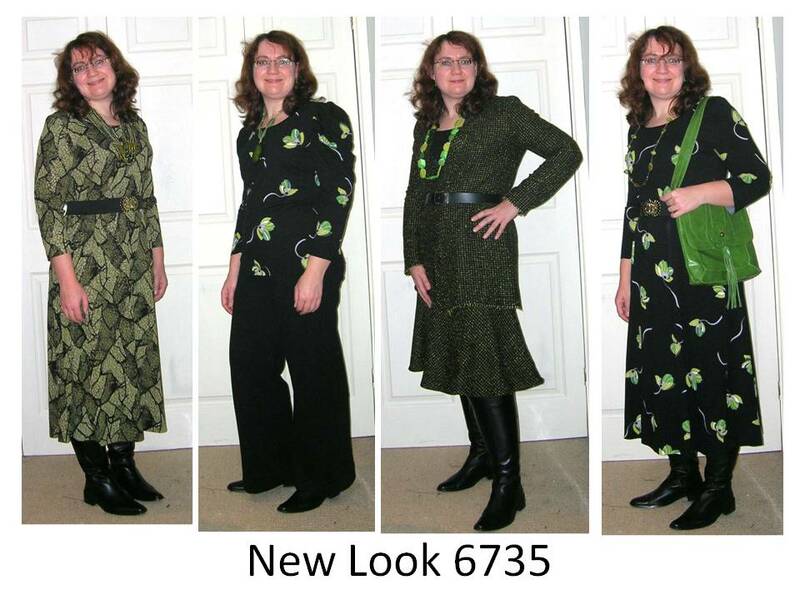 Obviously if you want 5 dresses 3 would need to be styles that work with what you choose as Lower pieces. This is actually easy to figure out, but I can explain it later if needed. I’m sort of redefining the categories a bit and reassigning some garments, such as pinafore/jumper garments, as the layering category is expanded this year. I think this will work nicely for us. 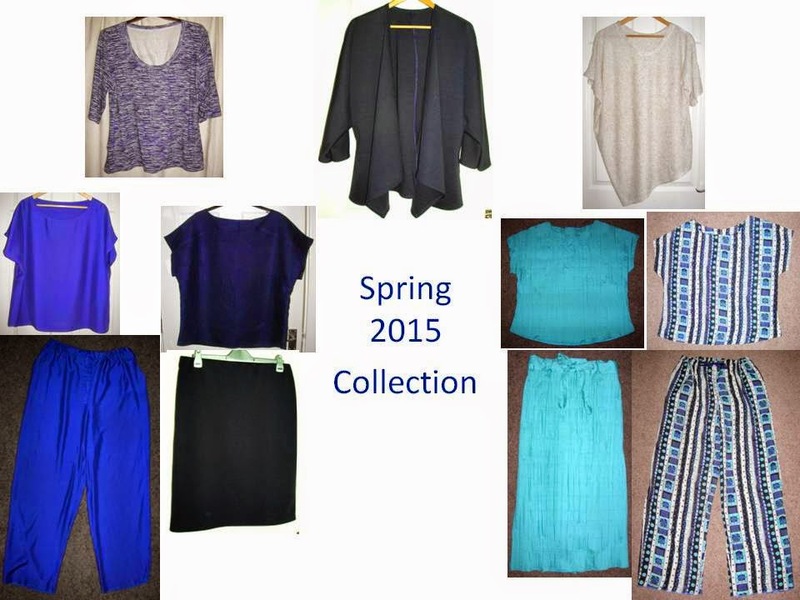 Upper: Tops, shirts, tunics and dresses, etc. 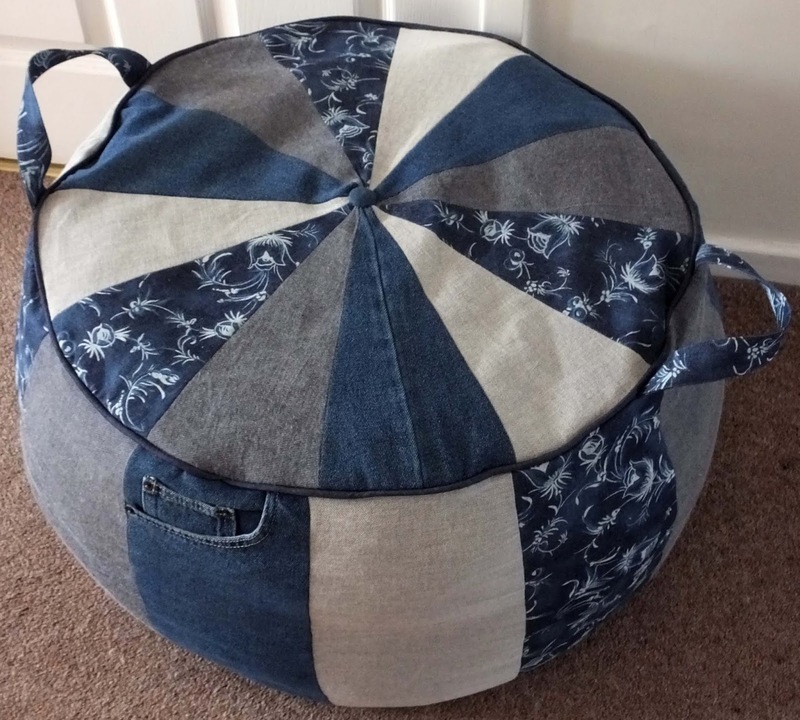 intended to cover the upper part of the body but may extend to the floor. Does not have legs. Not primarily intended as overlayers. 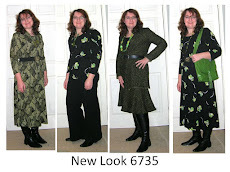 Lower: Bottom garments, such as skirts, pants, shorts, leggings, etc. intended to cover the lower part of the body. If it has legs it is always a Lower, so a jumpsuit would be here. As always, these categories need to avoid being obscene if worn without another layer, as defined by your lifestyle. Remember, there will be photos! Over: Garments you layer over Upper or Lower garments. 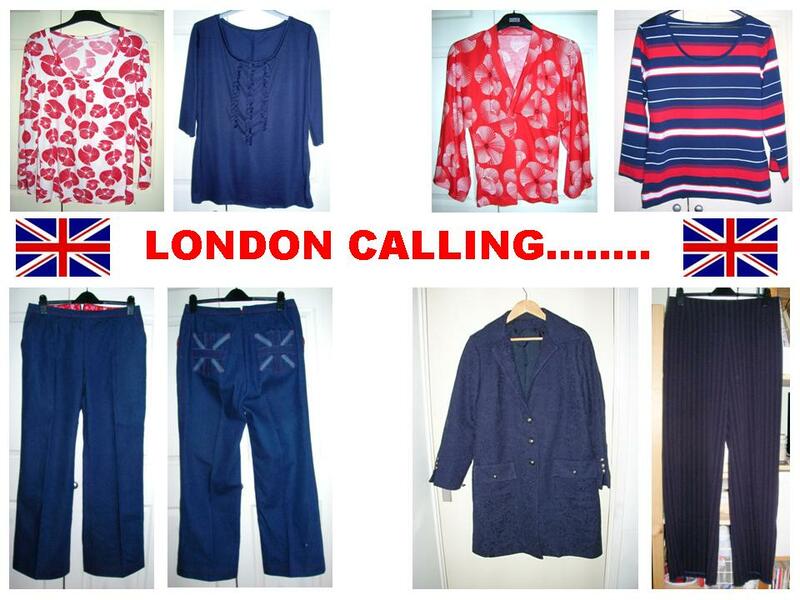 This might be a cardigan, vest, suiting type jacket etc. 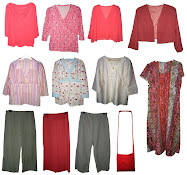 Pinafores and jumpers(American definition) will be Over or layer garments. 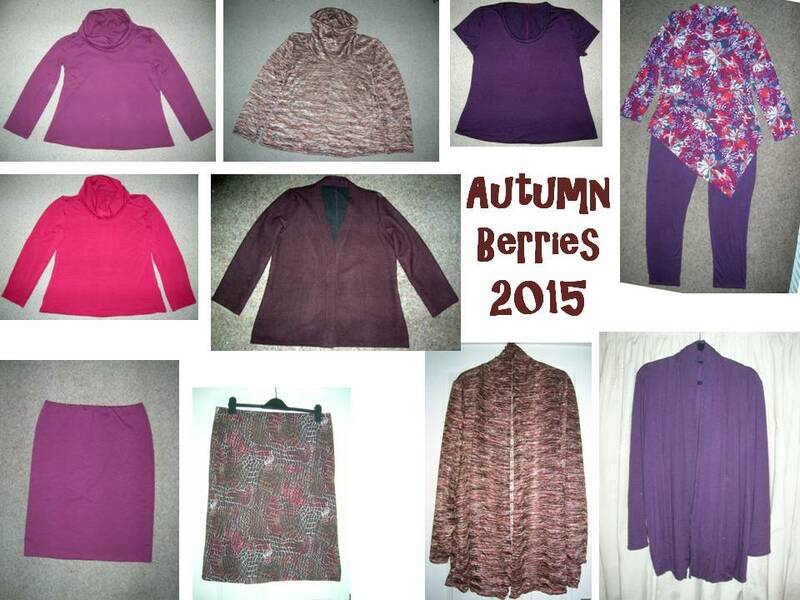 It also includes outerwear, which are top layers such as parka, heavy coats, raincoats, etc. Outerwear are garments worn to protect from the elements and are frequently removed when one arrives at a destination as opposed to a suit jacket or cardigan which is part of an outfit and you leave on unless it gets hot. There are limits on outerwear. If these garments can also be worn alone, that is fine. 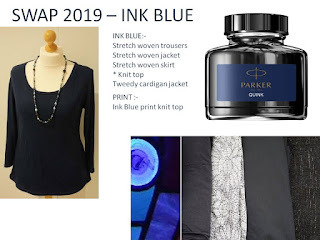 NEW: Because the number of layers is expanded and due to current fashion, layers can also be sheer materials, such as lace or eyelet. 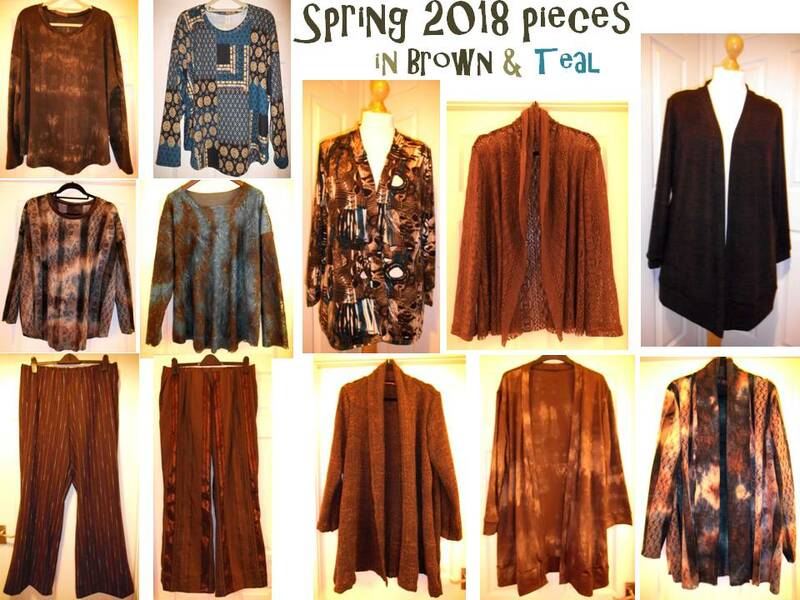 If Over pieces can also be layered together over other pieces, that is fine. 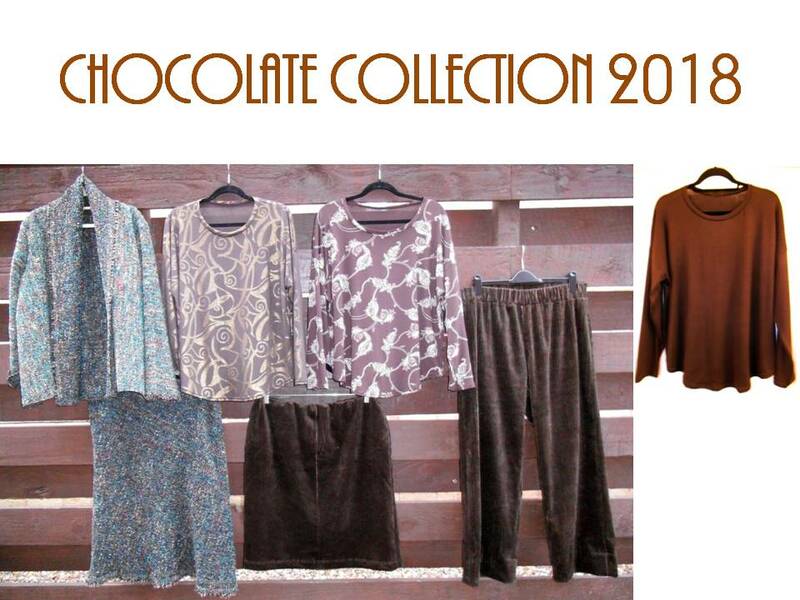 Having pinafores in this category is also new this year. PATTERNS: A minimum of 3 and a maximum of 8 patterns can be used. 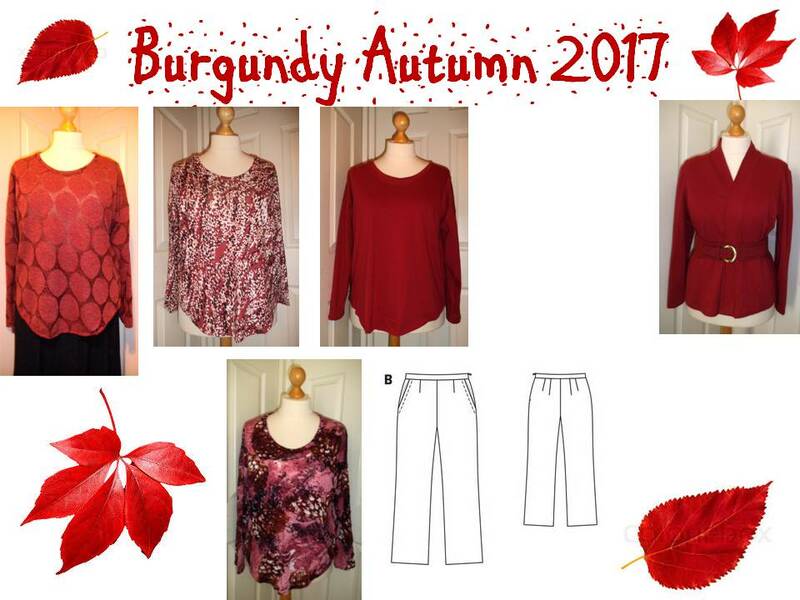 Two or three items will repeat but the garments don’t need to be identical. Use your imagination. Designed to develop TNT patterns. 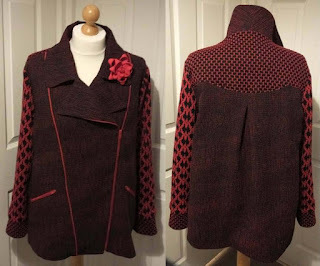 KNITS: You may include up to 4 crocheted, hand or machine knit garments. This plan rewards simplicity. The more you coordinate the less trouble you will have getting finished. 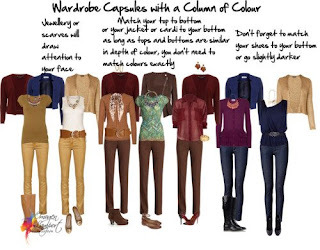 The more complex you get with your garment types and color choices the more planning you will need to do to pull it off. I highly recommend working it out on paper. With this you will be choosing your difficulty level. Simple is easy to pull off. 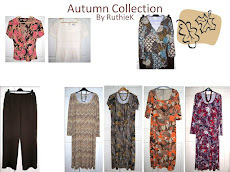 You won’t be sewing any orphans or 11 of one category, but it is possible to create different groups in different colorways with more planning. 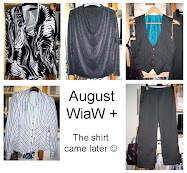 It’s also tricky to make this work with both after 5 garments and athletic wear. I know it’s not the best plan for everybody but that one doesn’t actually exist. 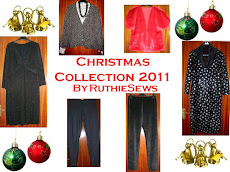 I also assume that this is not all the sewing you will do this year. 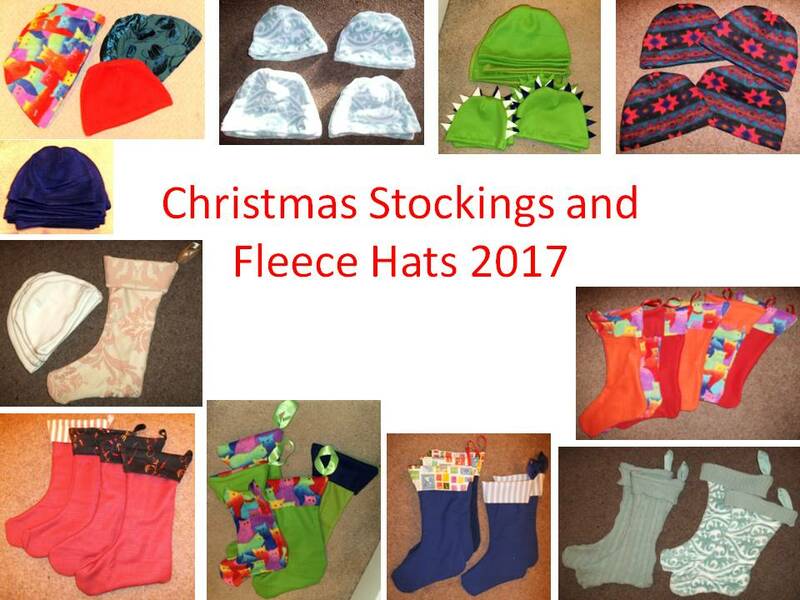 You may use one previously sewn item, completed by November 5th, when the Rules were posted. 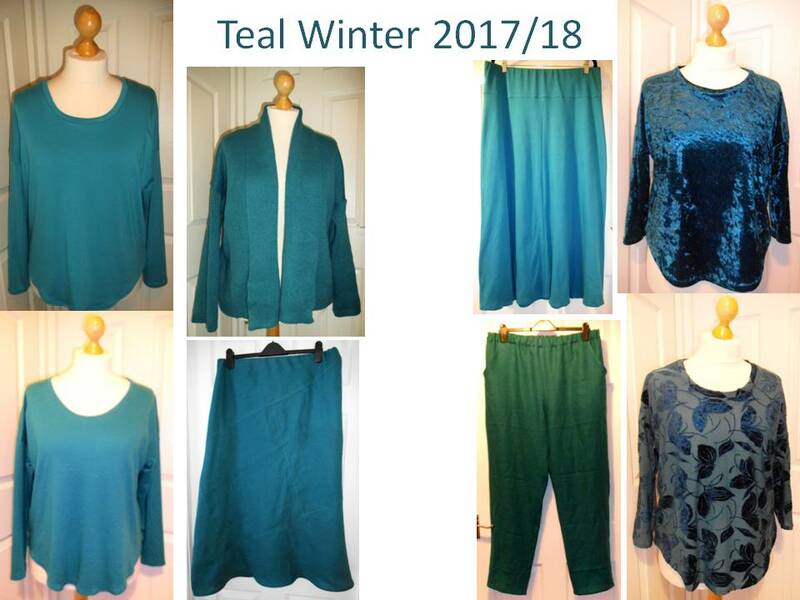 You may make 2 “Early Bird” garments, begun on or after November 5th, when the Rules were posted and completed prior to December 26th, the official start of sewing. You may use one purchased item, bought at any time through April 30th, 2017. 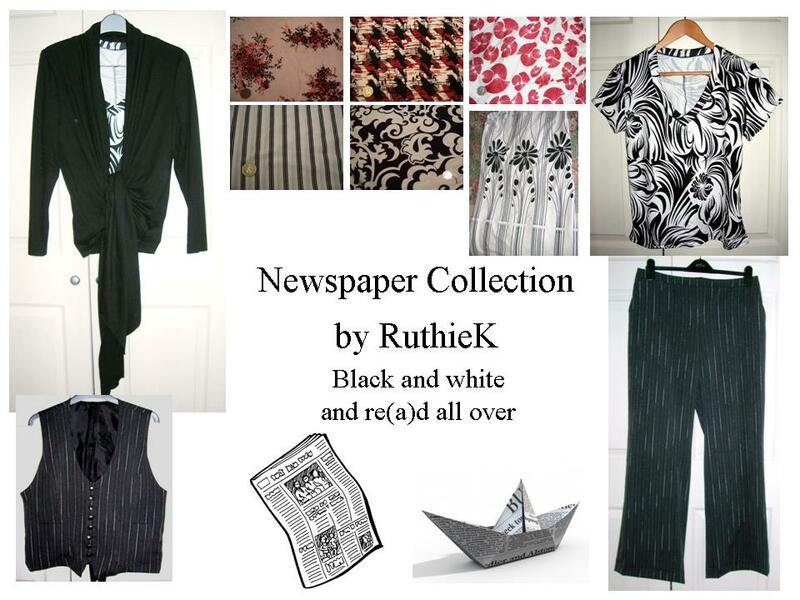 If you like, one garment may be refashioned. It will replace your previously sewn item or purchased item, which ever you use as your starting point. The above are tools; use them to your advantage! 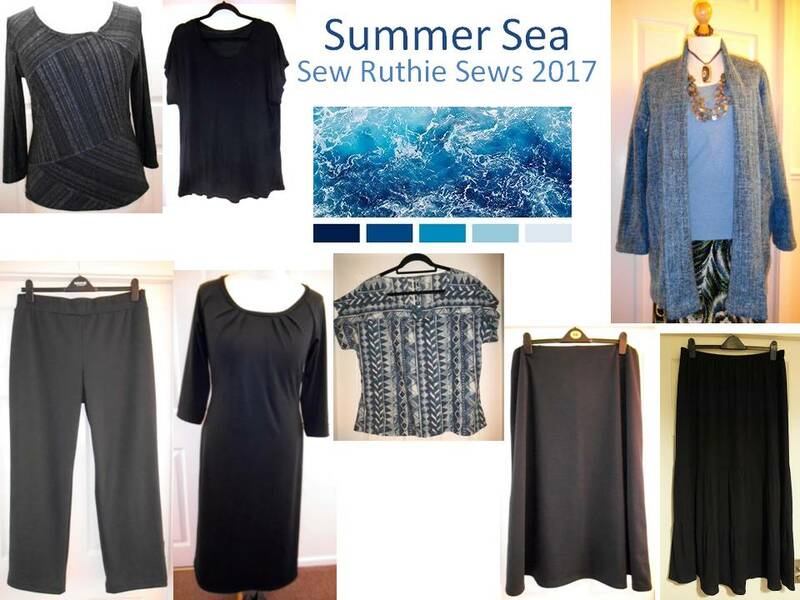 Sewing will begin December 26th, your time, and all garments must be finished by April 30th, 2017. Muslins, pattern fitting and fabric cutting may be started whenever you are ready. "Sewing" is a blanket term; you may sew, knit, crochet, weave...whatever works. Finally, this year, the individual threads are optional, and should only be posted to by their authors so the moderators don't have to monitor them every day. At the top of your first post please put something similar to this: NO comments here please! Put all comments on the SWAP Discussion Board. Thank you. This will make it easier on the Mods. PS: It's still the 5th my time for many hours but the date stamp might not reflect it. I couldn't change the time for me. :) Also, I know this is long. I wanted to try to clarify as much as I could to help cut down the questions for you. I can do a little cheat sheet chart later if you like. 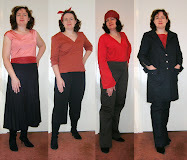 I had sketched an old style plan of 4 pairs trousers, 6 tops and 1 jacket which went with everything, so will need to rethink that. 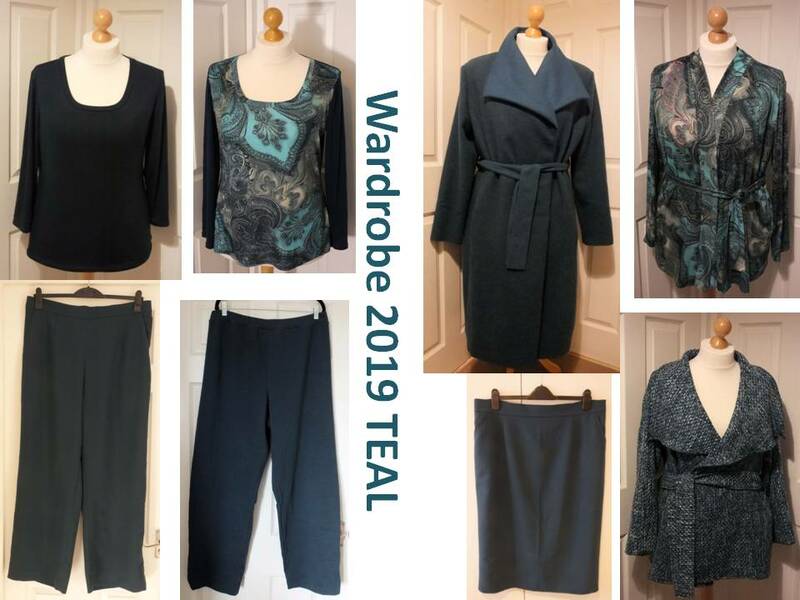 If I am sticking with jacket, top and trousers as my garment types then I need at least one more jacket or cardigan or other layer piece to stick to the plan. 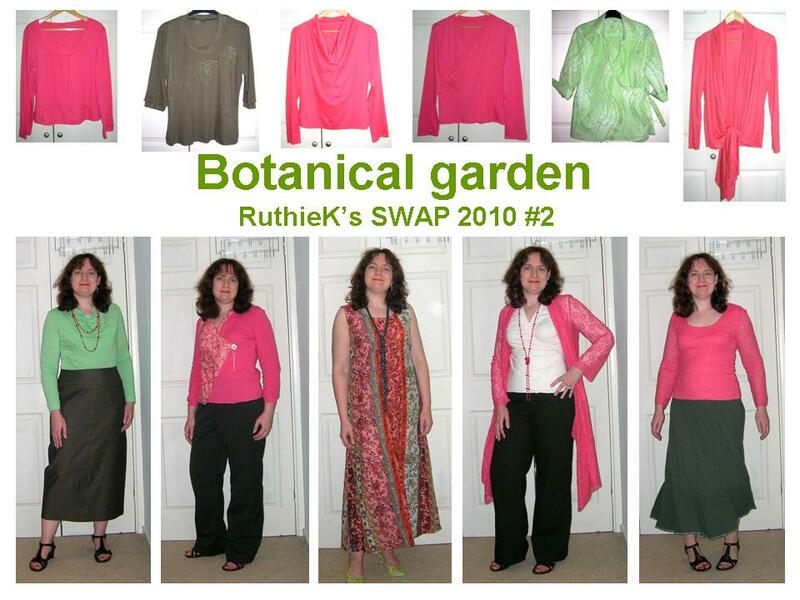 Here's an example wardrobe she created in 2013 which wouldn't quite fit into the rules, but is not far away. 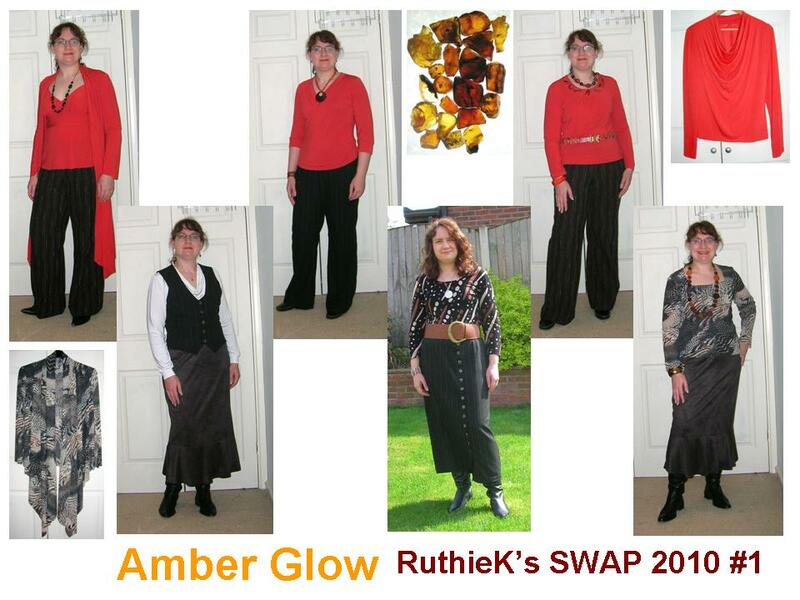 I think the SWAP rules are interesting this year and I can see a wardrobe plan for almost everyone. I can see columns with pops of colour and having most pieces work with the rest of the wardrobe for maximum number of outfits. 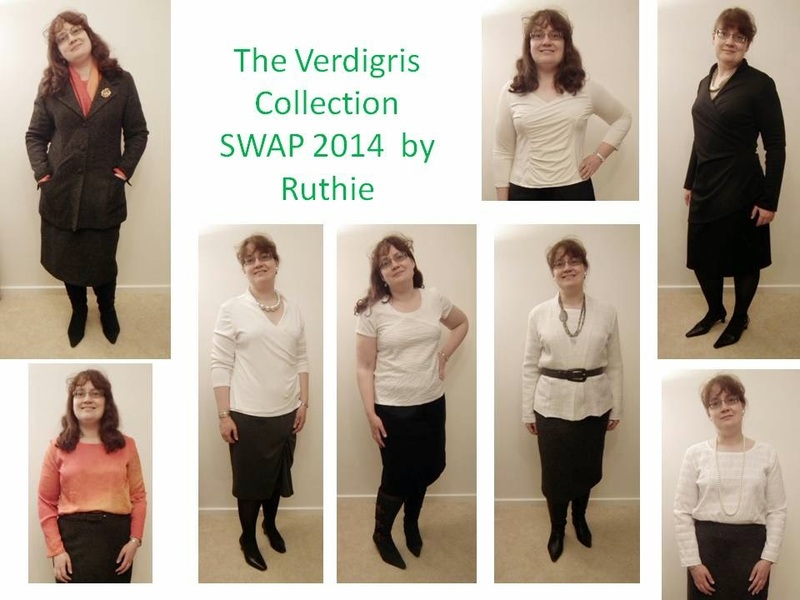 If I had the time, I would take part in the SWAP as I do like the rules. But, I won't have the time due to a lot of things. I'm not sure I get this. It sounds complicated. 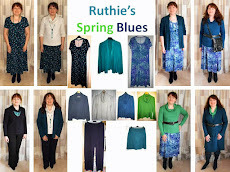 Does it mean I could sew, say, a skirt, 2 pairs trousers as bottoms (3), 2 dresses (rogue 2; as long as can be worn with cardigan or jacket), tops - a blouse/shirt, a tunic, a tee (3), a cardigan and a jacket (min 2). That's 10. So I could add a purchased or pre-made item, maybe a sweater. Half need to coordinate, but they all could, making it easier. Max 8 patterns, so the multiple garments would be from the same pattern; presumably there can be view variations. I don't fancy a pinafore dress. 4 months to do it? I need to develop TNT patterns and fancied doing the SWAP this time around - but do I understand it? Thanks, I knew you didn't make up the rules - sorry if my comment made you think I did. I did read through the thread (I am a member but certainly not a regular). I think I'm going to do this. I see that some of the questions relate to mine so I'll see what the answers are. No need to do anything too quickly! I'm excited to see the excitement surrounding the announcement and that has really inspired me. 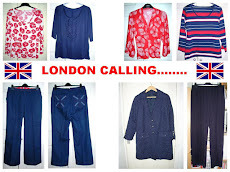 I think a simple combination with a navy base... The rules sounds more complicated than they are, I think (hope). 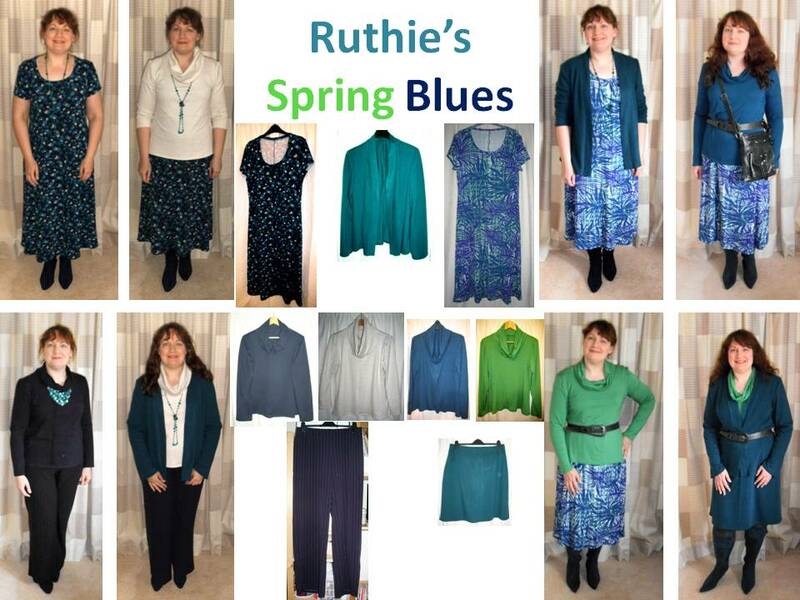 I love your plans Ruth - especially the column of colour idea. 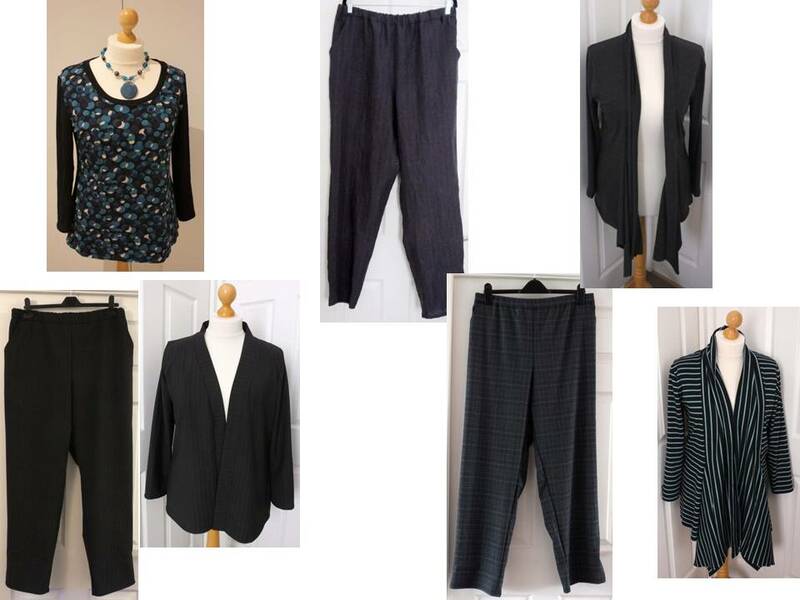 A second jacket or cardigan would be a good complement. SWAP items - what to sew first?